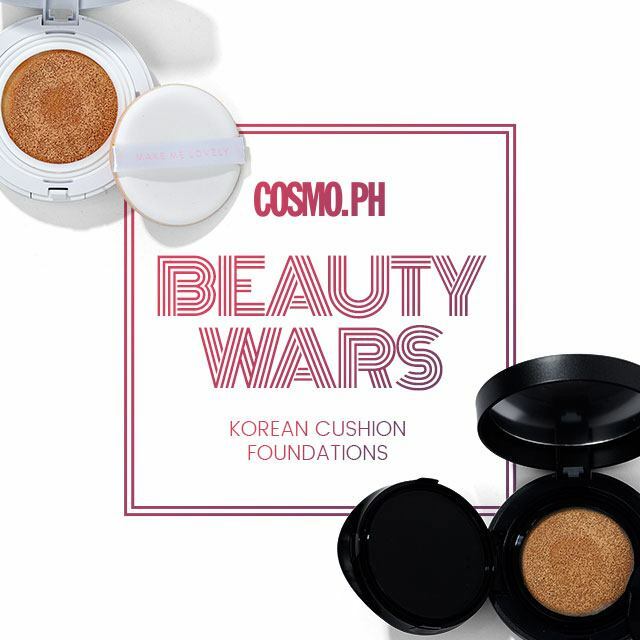 For today's Cosmo.ph Beauty Wars, we're going back to the OGs, testing a few famous Korean cushion compacts to see which ones will give us that coveted ~*Korean fresh-faced glow*~. 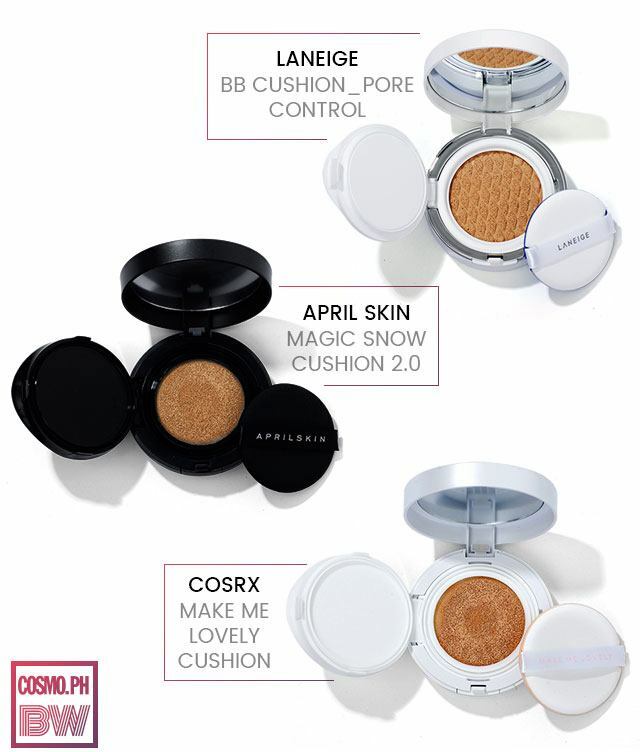 What It Is: One of the most famous cushion compacts in Korea, this product offers ample coverage to cover blemishes and has an improved water-based formula to nourish and hydrate your skin. Why We Love It: This offered A+ coverage and was a breeze to apply. But what really won us over, though, was how we didn't look greasy or oily throughout the day. What It Is: A peach-toned foundation that promises to brighten skin, minimize oil, and protect it from UV rays. (It has SPF 50!) It's also long-wearing and full coverage, so you can have a flawless and dewy base all day. Why We Love It: While this did give a natural-looking finish to the skin, it also made us oily after only three hours of wearing it. What It Is: Who says Korean cushions can't keep skin matte? Laneige's Pore Control contains a two-step oil control system to keep your skin soft and hydrated deep within, but matte and poreless on the surface with a "blurring layer" to brighten your complexion. Why We Love It: Just like the April Snow Cushion, the coverage of this one was amazing. It didn't make us look and feel greasy, even after eight hours of wearing it. Unlike other cushion foundations, this didn't feel sticky when we first applied it. PHOTOS: Dakila Angeles. MAKEUP: Joyce De Dios-Ignacio.